Manufacturing systems rarely perform exactly as expected and predicted. Unexpected events, such as order changes, equipment failures and product defects, affect the performance of the system and complicate decision-making. This volume is devoted to the development of analytical methods aiming at responding to variability in a way that limits its corrupting effects on system performance. 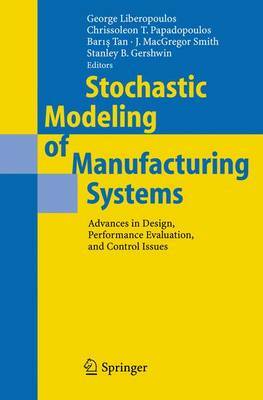 The book includes fifteen novel chapters that mostly focus on the development and analysis of performance evaluation models of manufacturing systems using decomposition-based methods, Markovian and queuing analysis, simulation, and inventory control approaches. They are organized into four distinct sections to reflect their shared viewpoints: factory design, unreliable production lines, queuing network models, production planning and assembly.